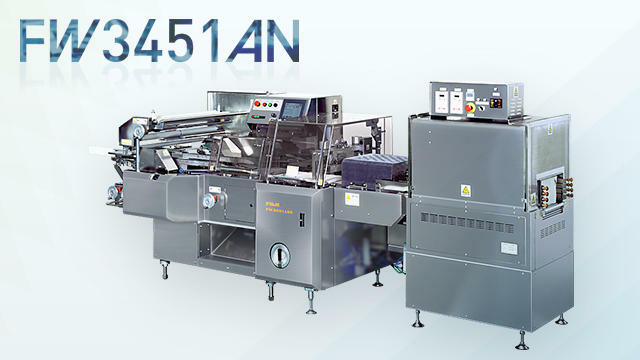 FW3451AN to wrap your lunch and a side dish | Horizontal Pillow Packaging Machines | FUJI MACHINERY CO.,LTD. A shrink wrap machine that uses polyethylene shrink film. Suitable for center wrapping of bento boxes, side dishes, and dry foods. Employs a belt-type dispenser. Rotation seal or box motion seal types can be selected for the end seal parts.